. Thankfully Reading is a time for me to take some time outs in this busy time to just relax. Although it doesn't officially began until tomorrow I always start on Wednesday. 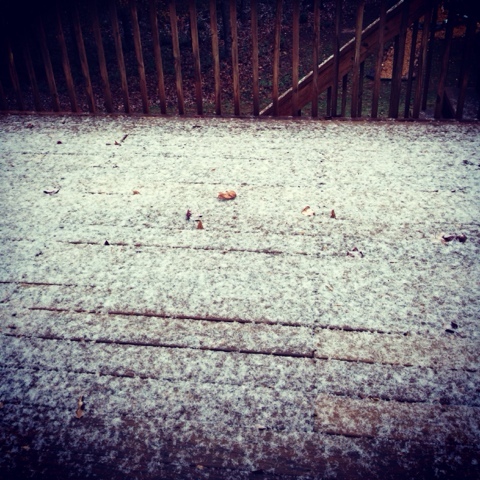 I woke up this morning to a light dusting of snow. Just enough to see that it snowed but not enough to be pretty. Normally I would be excited but I do have an engagement shoot later today and it is cold and very windy. I have some cooking and cleaning to do today to get ready for the family. My sister and her boyfriend are getting in late tonight and everyone else will be here tomorrow. I am so excited. I love my family and I love Thanksgiving. It's 7:30 am and I am going to start reading. I will keep you updated throughout the day. Happy reading to everyone else! by Firoozeh Dumas. 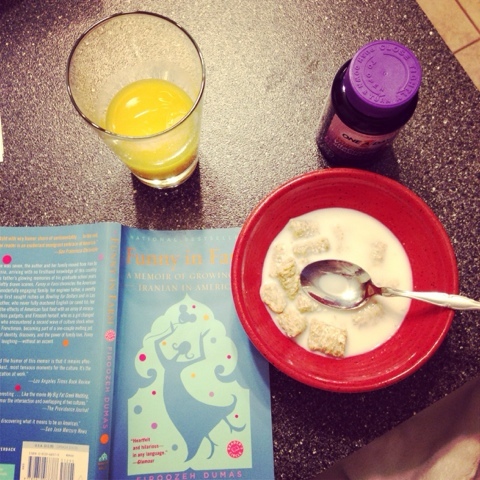 It is a memoir of an Iranian girl living in America. It is really funny but also interesting to read how Americans attitudes changed after the Iranian revolution. I love the stories she shares of her father. He is quite the character. the book still reminds me of happy childhood times spent reading. Whew already tired and the day isn't even half way over. I just made a double batch of homemade cranberry sauce. It is the first time I have ever made the dish so I hope it turns out good. 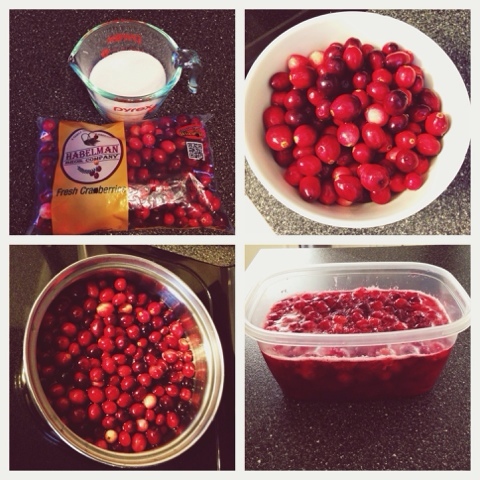 I don't actually like cranberry sauce but it is such a traditional Thanksgiving dish it must be made! I am still reading. 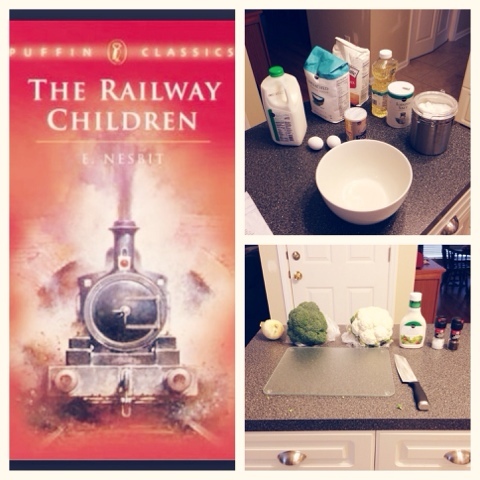 I am about halfway through The Railway Children and 70 pages into Funny in Farsi. I think I need a quick cooking/reading break to watch last nights The Mindy Project since I forgot it was on. This day has only been getting colder. Brrr. This afternoon I have had lots of time to read. It was too cold for engagement shoot so we had to postpone it. My sister who assists me on shoots came over and we visited for awhile since the shoot was cancelled. My dog was so excited to see her and was jumping all over the place. He loves his auntie. 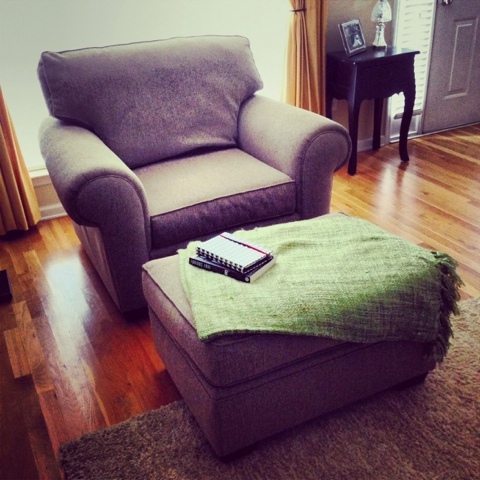 The rest of the afternoon I sat in my big chair with a blanket and read. I just finished Funny in Farsi. It was such a good book. I liked how she compares American life with life in Iran. Her stories about celebrating Christmas were so interesting. I have never really thought how left out cultures or religions who don't celebrate Christmas must feel. Christmas is like this big consuming holiday and is everywhere. One of the reasons I love Thanksgiving so much (besides my love of food) is it always seems to be much more relaxing than Christmas. Christmas has turned into this giant mess of consumerism and stress. Thanksgiving is still this beautiful time of thankfulness and family. I am really tired and Thanksgiving isn't even here yet. But I have finished cleaning my house and cooked all but two dishes I have to make tomorrow. My husband made dinner which is good because I wasn't going to make anything. 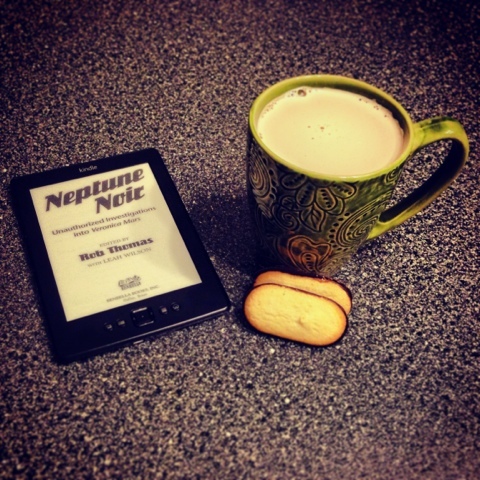 I started a new book Neptune Noir. I am a huge Veronica Mars fan. I think it is one of the best shows ever on TV. I was thrilled when they decided to make a movie and eagerly contributed to their Kickstarter campaign. Neptune Noir is a collection of essays written about the TV show and narrated by the creator Rob Thomas. Who knew there could be such interesting papers about a TV show?